I can't take credit for this idea, my co-teacher came up with it. She wanted to do something fun for the kiddies who are studying the lesson What a Nice House in their textbooks. 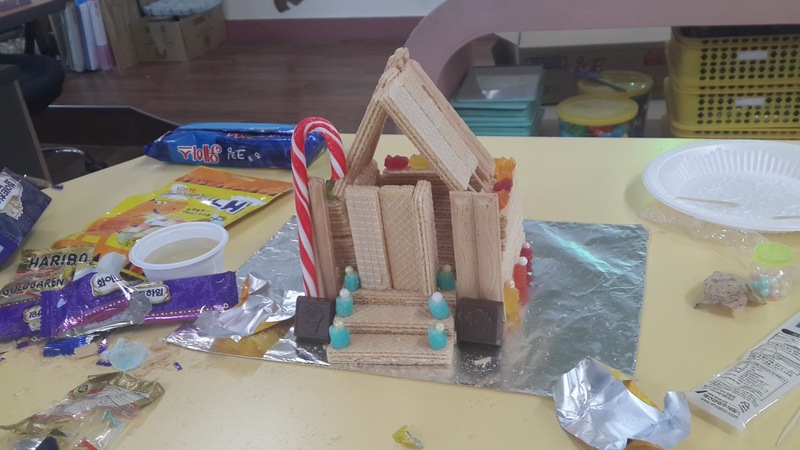 Instead of the dull project in the book, she had the fab idea to get some cookies, tooth picks and syrup - to get their creative juices flowing -and make some cookie/candy houses! What a great idea! 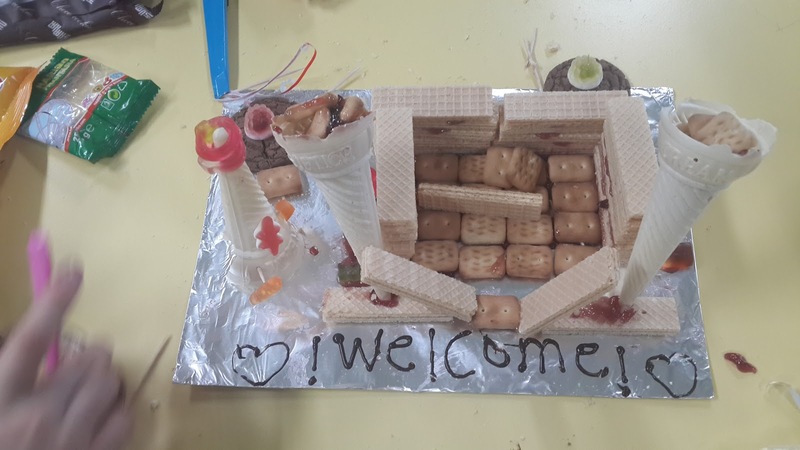 Now, all you need are some cheap cookies, wafers are good or anything square and then we asked the students to also bring some candy and decorating items from home. We used some sugar syrup that she found online... but it's basically just sugar mixed in water. You could use any sugary liquid really, icing, maple syrup, etc. 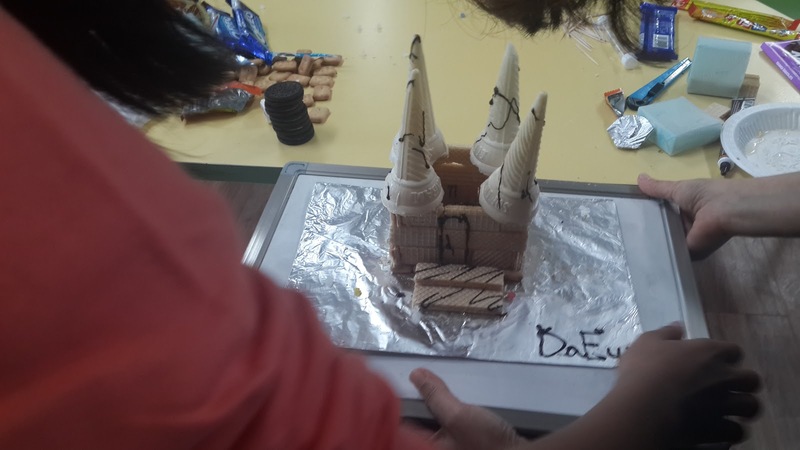 Anyway, so we let their imagination run wild in this class. 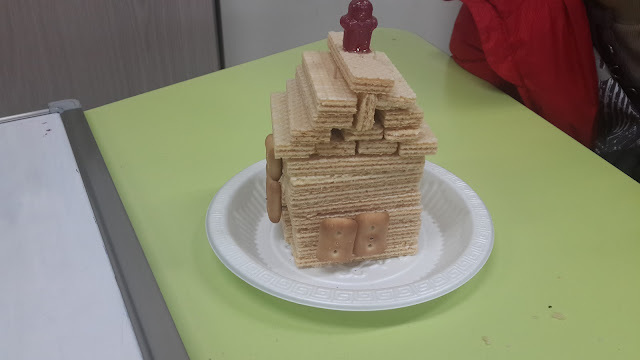 I made a sample house using on the cookies we gave them, so they could see it was possible to be creative if they hadn't brought any of their own extras. Here's some of the fun! Hope you can make use of this for camp or your own house lesson. 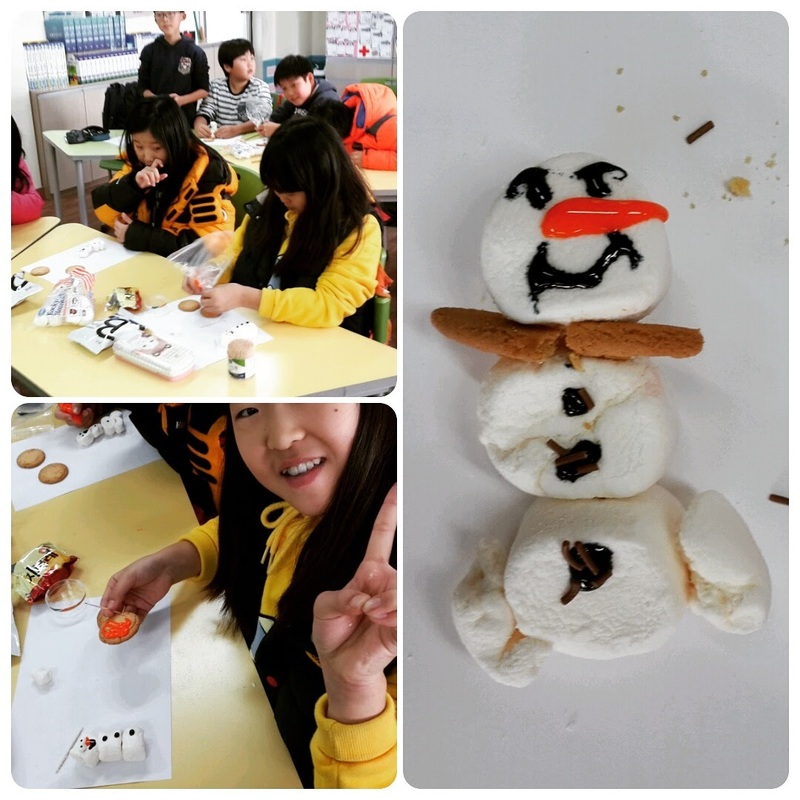 Now, for more ideas with food be sure to check out my winter camp lesson post and my summer camp around the world theme lessons. 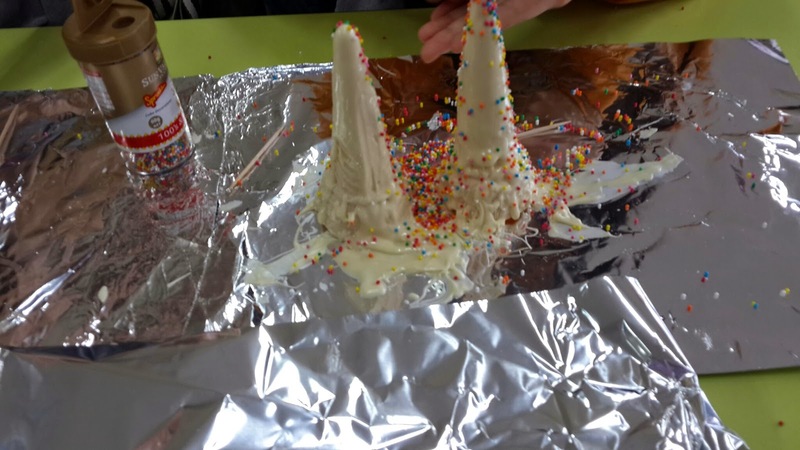 Winter Camp Ice-Cream cone winter trees and snowmen. 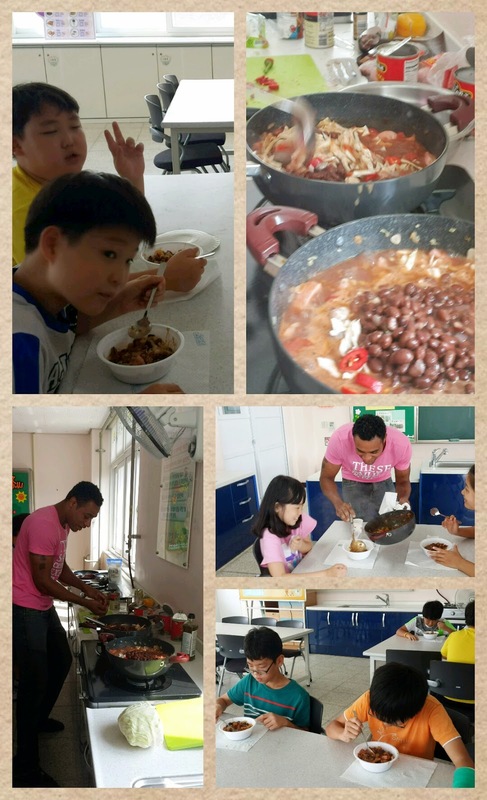 Summer Camp and international foods! Cool! 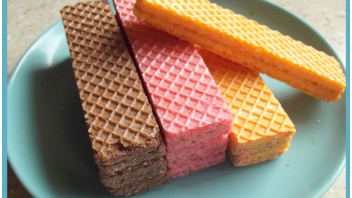 Just curious, did you include a lesson with this or was it just like a fun extra thing? 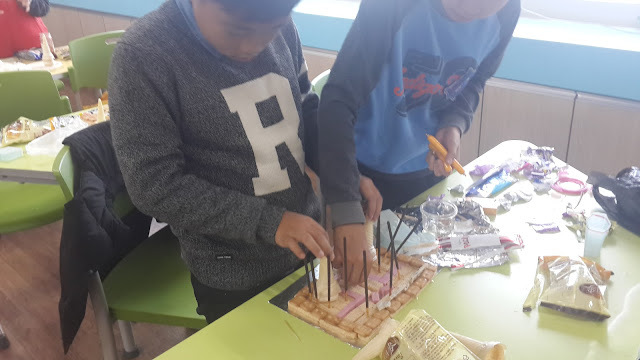 My idea was to incorporate the 3 Little Pigs, students will present their houses and explain what they're built out of ("The walls are made of cookies, the roof is made of chocolate, etc"). Thanks for bloggin', I'm always getting great lesson ideas from you! 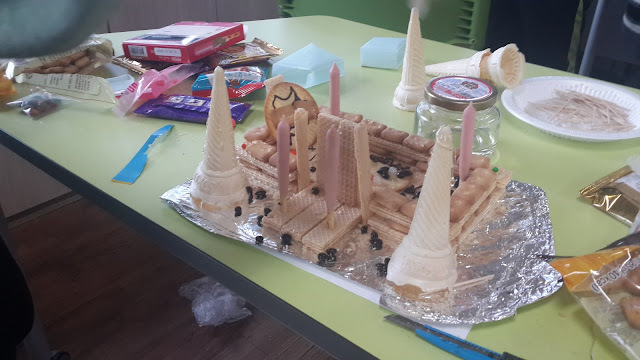 It was an end of the lesson activity, for fun. Nothing too serious. But I like the 3 little pig story idea! Very cool. Also search "house" on this blog and it can lead you to some other activities with house and room study... maybe that would suit this idea too!